Valhalla can only be reached by dying a glorified death on the battlefield! – Join the raid and claim your rightful place with the Gods of the North. This Bloody game presents some of the coolest features yet! It has 9 winning lines which you can play both right to left and left to right. 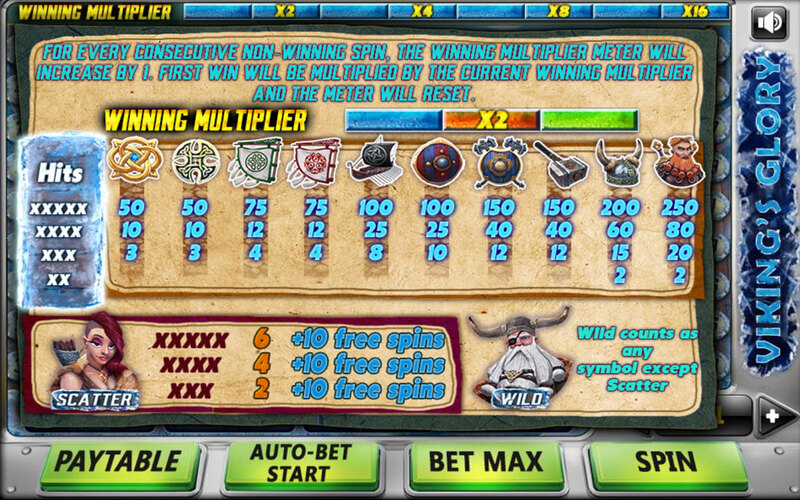 In case of having a bad day on the battlefield we created the winning multiplier – this awesome feature will multiply your first win after every non-win round up to 16 times!! 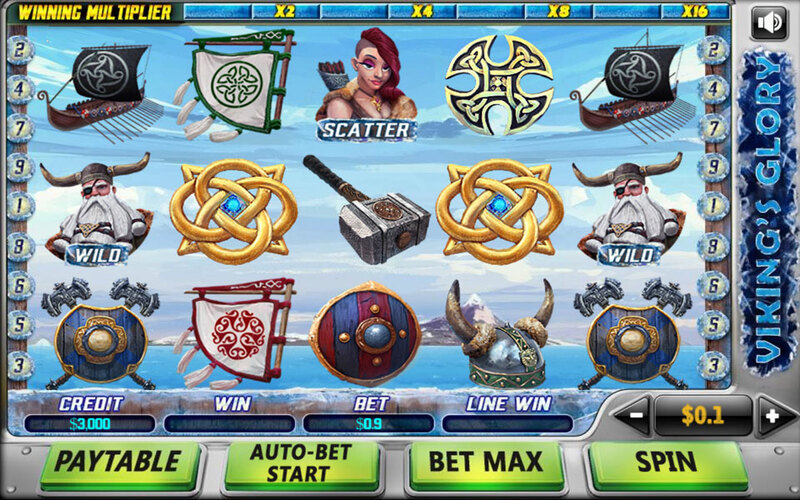 Another cool feature is the Scatter bonus - By receiving 3 or more will grant you 10 free spins!